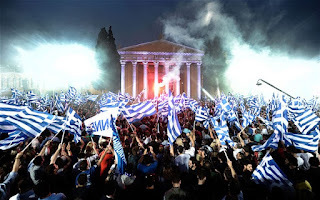 Bill Kerr: Greece: sign a petition or start a revolution? The economic crash of 2008 hasn't gone away, has it? Perhaps I should resume my study of political economy. I tried before but abandoned it because it was so difficult. 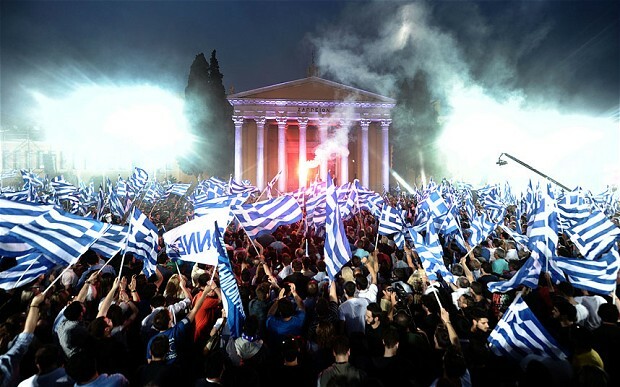 The crisis in Greece isn't going away. It wouldn't surprise me if it spread further. And another 3 million people can hardly cover all of their mortgages and taxes. Needless to refer to the few thousands that have built monumental fortunes by evading taxation and suppressing labor costs. Only a socialist revolution can save the Greek people and can grant her an honorable, sustainable human life, as advocated by KKE (Communist Party of Greece). All options other than this are either a lie or an illusion, which does conceal today's capitalism's realities or consciously deceive the working masses. Syriza govt is managing this crisis for capital and tries to keep the country in the line of interests for greek and international capital, not for the working class. Like Podemos in Spain. Capitalist Europe is shrinking in all respects and it is time for working peoples to search for other, much more realistic options. Otherwise, peoples will miss these days.